Click here to view the BBC2 documentary, Bletchley Park: Code-breaking's Forgotten Genius, based on the title by Joel Greenberg. You'll be £25.00 closer to your next £10.00 credit when you purchase Gordon Welchman. What's this? The Official Secrets Act and the passing of time have prevented the Bletchley Park story from being told by many of its key participants. Here at last is a book which allows some of them to speak for the first time. Gordon Welchman was one of the Parks most important figures. Like Turing, his pioneering work was fundamental to the success of Bletchley Park and helped pave the way for the birth of the digital age. Yet, his story is largely unknown to many. His book, The Hut Six Story, was the first to reveal not only how they broke the codes, but how it was done on an industrial scale. Its publication created such a stir in GCHQ and the NSA that Welchman was forbidden to discuss the book or his wartime work with the media. In order to finally set the record straight, Bletchley Park historian Joel Greenberg has drawn on Welchmans personal papers and correspondence with wartime colleagues which lay undisturbed in his sons loft for many years. Packed with fascinating new insights, this is essential reading for anyone interested in the clandestine activities at Bletchley Park. There have been several books about what went on at Bletchley Park in the past few years, in fact there is another title from Pen and Sword on this page, concerning the amazing exploits of Jenny Nater. There is no doubt that the most high profile of these operatives was Alan Turing, who featured in the recent brilliant film The Imitation Game, starring Benedict Cumberbatch; and various news items on our local news have featured interviews with old ladies who once worked on the codes at Bletchley Park, people who were not even allowed to tell their closest family members what they were doing. 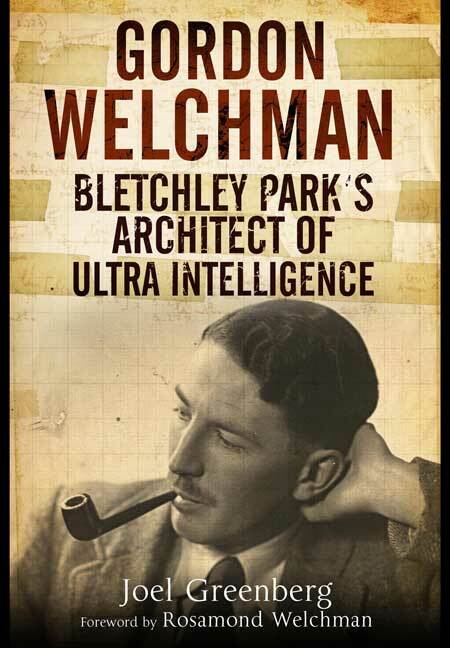 Joel Greenberg's book about Gordon Welchman reveals a man equally as fascinating equally as important as Turing, and tells us even more about what went on in this most secret of establishments during the war years. See article 'The Man, The Enigma' in October 2015 issue. [This book] is a well-founded study of the person and the subjects that kept him engaged both during the war years and thereafter. ... It is a gold mine of information. This book should be essential reading in schools and be read widely. It provides insights that should show how further advances can be made and how security can be developed to protect the users of electronic information. I found the book absolutely fascinating. The Bletchley Park Trust welcomes the publication of this book which tells, for the first time, the complete story of Gordon Welchman. A fascinating book about a fascinating man. This is a magnificent biography which finally provides recognition to one of Bletchley's and Britain's lost heroes. It is a welcome antidote to Welchman's poor treatment at the hands of the authorities [and] a wonderful tribute to one of the most important of the Bletchley Park codebreakers. Gordon Welchman is the unsung hero of Bletchley Park. Others have gained greater fame, but Welchman's inventions sped solutions, making it possible for Bletchley to crack coded German messages fast enough for the convoys to dodge wolfpacks or for the armed forces to sink U-boats and so help win the most basic fight of the war – the Battle of the Atlantic! Packed with new insights, this is essential reading for anyone interested in the clandestine activities at Bletchley Park.